“We know that small and medium enterprises are the lifeblood of towns and villages the length and breadth of this country. The last five years have proven that with the right support by Government, such as our Action Plan for Jobs, Irish businesses can emerge from the recession with renewed confidence for the future. 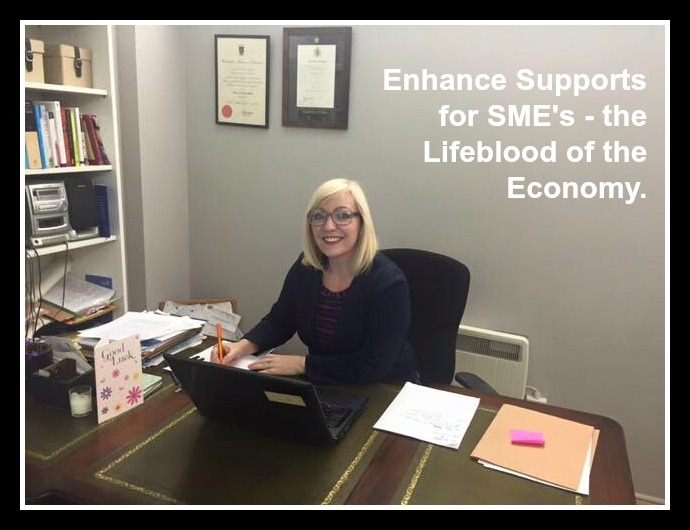 We must support Irish SMEs to grow and expand and contribute to our overall jobs plan of creating 200,000 jobs by 2020. 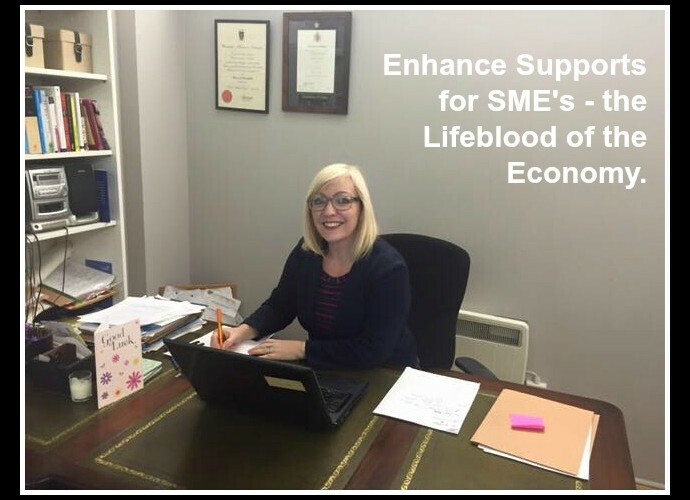 We will provide more direct supports through Enterprise Ireland and the Local Enterprise Offices. We will help businesses drive innovation and do more business online. And we will cut the cost of red tape so Irish businesses can stay ahead of the pack. “Fianna Fáil want voters to think they’ve changed since they crashed the economy and destroyed 300,000 jobs. “Fine Gael has exposed the €1.2 billon black hole at the centre of the Fianna Fáil manifesto by failing to include any provision for their commitment to increase public service pay. Since then a series of Fianna Fáil spokespeople, including Micheál Martin, have been all over the place in their attempt to explain it away and are now just making it up as they go along. “In their desperate attempt to muddy the waters they are once again proving that they cannot be trusted to manage the economy or bring recovery to all parts of Ireland.